Tourism is big business in Bali. It’s easy to look at the influx of tourists and see it as ruining and eroding the authentic traditions of the Balinese. But did you know that many of the traditions are only so widely known and possibly only survived because of tourism? In this article, we explore the history of tourism in Bali, and how the Balinese being such natural artisans have helped create the Bali we love today. 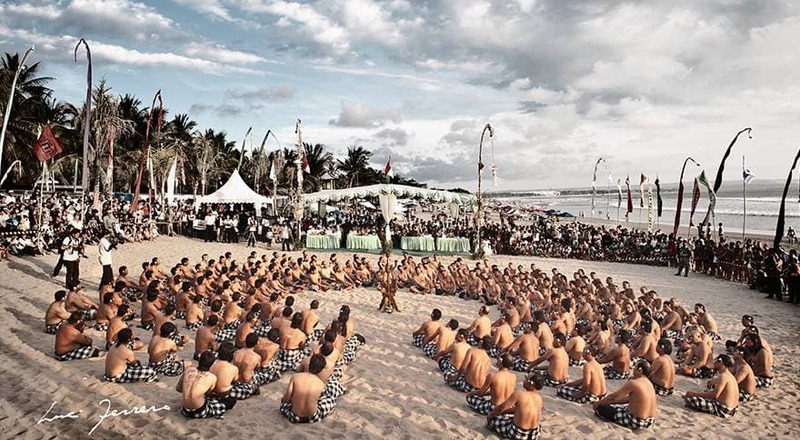 Today’s Bali has countless ways of attracting visitors. Whether lured here by its tranquil beaches and tropical vegetation, ancient temples and the colourful rituals that are still practised in Balinese life, luxurious yoga retreats, or the vibrant nightlife, a holiday in Bali, voted on TripAdvisor in 2017 as the world’s number 1 destination, is high up on the list of places to experience. The phrase “for tourists” is often associated with mass and crowd pleasing, whether activities that everyone can enjoy, or souvenirs that vaguely reference cultural heritage. What many tourists might be surprised by is that the Balinese culture they are experiencing was shaped by and should be seen within the context of tourism. Let’s step back in time to look more closely at Bali’s underlying appeal and how the island’s image as a romantic, tropical idyll came to fruition. Which significant culture has ever evolved fully autonomously, free of being enriched by or naturally blended with foreign influence? Bali is a paradise not only discovered but also created by the way it’s been perceived by westerners, and it’s not a bad thing! From the middle 19th century to 1908, all the Balinese kingdoms, little by little and one by one, fell under Dutch control. A steadily increasing stream of tourists along with western artists, scholars and anthropologists started arriving, infatuated with the images of tropical nature, Hindu religion, rituals and performances. What post impressionist painter Paul Gauguin found in Tahiti, Dutch tourists were discovering in Bali. It became a substitute and a natural successor to the Pacific island, where the local culture had already vanished due to the conversion of its native population to Christianity. It was Gregor Krause, a German doctor working under the Dutch, who upon being stationed in Bali in 1912 took a series of photos that became widely known around the world in his book titled “Bali” published in 1922. This “image” of Bali, captured on earliest photographs is what people still seek. Walter Spies, a German multi-talented artist, settled in Bali in 1927, and a group of international musicians, artists, scholars and anthropologists gathered around him. Spies made a base in Ubud, creating a centre of arts. Spies and his associates became “producers” of the “Bali paradise” – exporting tales and objects from their beautiful, artistic, spiritual lives back to the “stuffy” 20’s west. One of his compatriots, Mexican artist and anthropologist Miguel Covarrubias, lived in Bali with his wife Rose. 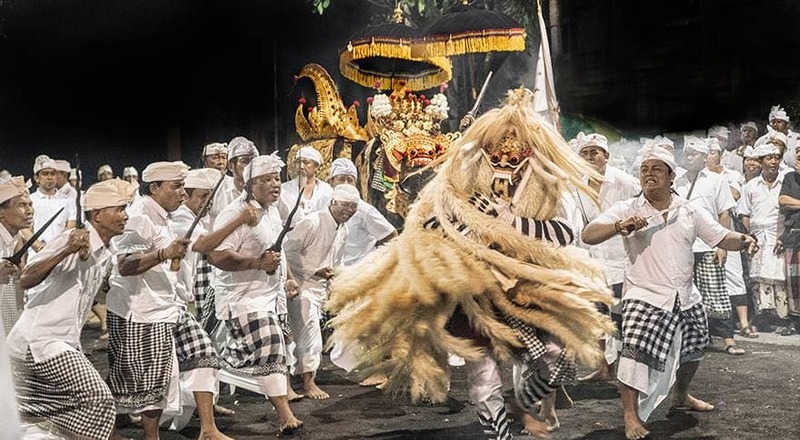 Famed for his drawings in The New Yorker and Vanity Fair magazine, Covarrubias travelled all over Bali with Spies, seeking out obscure traditions, ceremonies and wildlife. In the late 1920’s, an American named Hickman Powell took a leave of absence from his job at the New York Morning Herald for a trip around the world. Bali at that time was ushering in a new era of luxurious and elitist travel, and Hickman was one of only a few tourists to experience it. His travels resulted in his first book, The Last Paradise, published in 1930, an account of the history and customs of the island of Bali, which positively romanticized the island – presenting an unspoiled country, inhabited by artistic and spiritually rich people. By 1937, Miguel Covarrubias finally wrote about his Balinese adventures with Spies in his book, Island of Bali. The book and particularly the marketing surrounding its release contributed even more to the Bali craze in New York. Even now, Bali’s appeal is rooted in the ideal of where the South Pacific meets Asia, where the scent of India and the Hindu tradition remained after Java converted to Islam. Yet it was actually under the Dutch administration that Hinduism became the “real” religion in Bali. Walter Spies was interested in the authentic Bali but not the way it had changed under Dutch stewardship. He introduced Balinese culture to European salons, where Balinese gamelan music (the mostly percussive music played by mallets) inspired Claude Debussy. 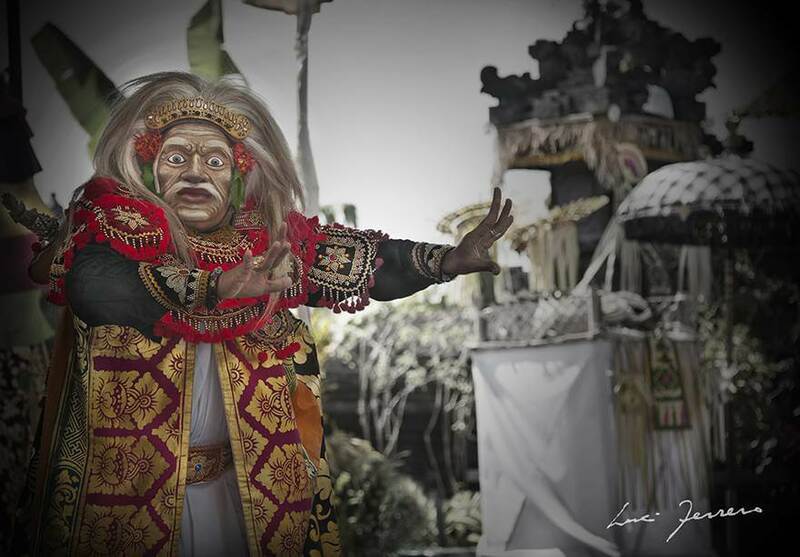 A perfect example is the Kecak Dance – originally derived from a ritual trance – was choreographed by Spies in the 1930s. 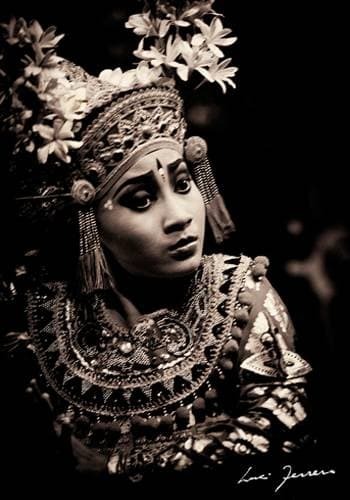 The Kecak Dance is based on the epic Ramayana poem from ancient India that tells the story of the divine prince Rama and his struggle to rescue his wife Sita from the clutches of the demon-king Ravana. The dance was turned into a spectacle still seen by tourists today, and most famously by the Batey advertising agency in the 1990s for its evocative Singapore Airlines campaign. The Kris Dance, in which a group of men ritually stab themselves with short knives (called kris) in honour of the Gods, started being performed for tourists in 1936. Again Spies was the creator, originally bringing the performance to the Paris Colonial Exhibition in 1931. Colin McPhee, a Canadian musician, spent the 1930’s on the island, completely in love with gamelan music. His subsequent writings and compositions proved seminal in popularizing Balinese gamelan music in the West, inspiring Benjamin Britten, the British composer, with the compositions for The Prince of the Pagodas, Curlew River, and Death in Venice. The composer wrote about his discoveries of music in Bali and his understanding of an astonishing culture where the arts are a prime preoccupation in his book, A House in Bali. This chronicle of his life in Bali is still considered a valuable introduction to Balinese culture. 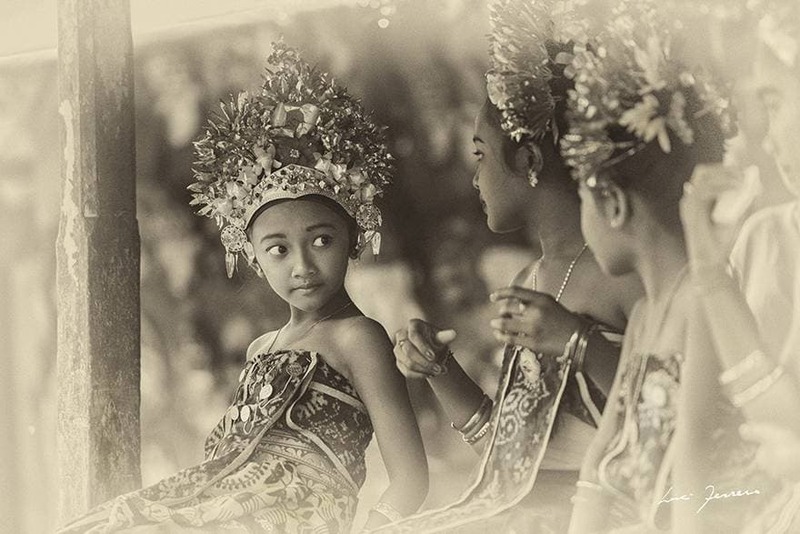 Describing the deep layers of culture under the constant change, Mead probably disregarded many elements and romanticised plenty, but she managed to capture the spirit of Balinese culture that was accepting and embracing the foreign influence along the way. Bali adapted to the image expected by the Westerners, and the tourism stimulated the original culture and preserved it in a newly created version. 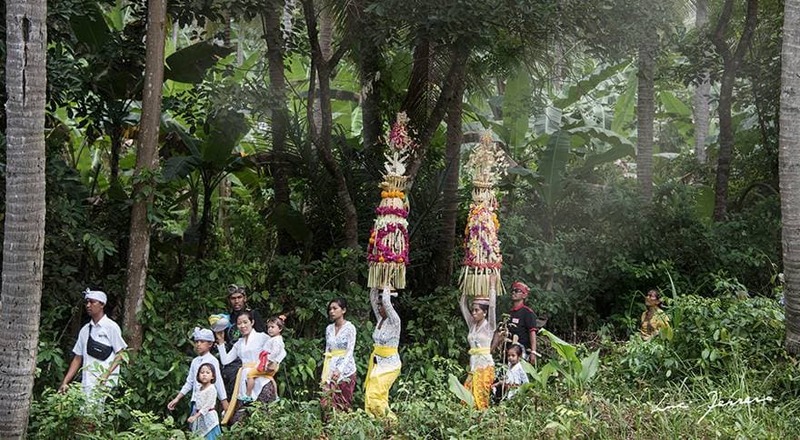 Extracted from the original, solely ritual, religious context and planted into an aesthetic one, performance became one of most elevated arts in Bali. Dance, theater and crafts only became ‘art’ in the context of tourism. Until Spies, Balinese art was focused on religious motifs. Only under western influence did landscapes and everyday scenes start appearing in paintings and textiles. The 1930s was a real cultural renaissance and a rebirth period for the Balinese culture, including music, dance and art, we know and admire. Cultural activities should lead to the advancement of civilization and culture, and the strengthening of unity without rejecting new elements of foreign cultures which can develop and enrich the own national culture and raise the human dignity of the Indonesian people. How incredibly self-confident, proud and wise these words sound 70 years later, when the constant fear of losing cultural identity, due to political or economical mass migration, is spreading all over the world. Bali is a unique example of how preservation and growth can happen simultaneously and peacefully, blending the old and the new, and embracing the beauty of what is alien, while remaining true to itself. Travellers in the 19th and early 20th century would have been entranced by the aesthetics and skills of Balinese crafts and craftspeople that were part of the fabric of religious and cultural life in every community. The religious rituals they attended would be generously adorned with exquisite offerings made from flowers, leaves and other parts of the flora of this sacred volcanic landscape. Carvings from wood and stone were inherent in artistic expression. These objects of creation contributed to the allure of the magical paradise experienced by the Dutch and the stream of European artists who visited the island. It is what travellers today come in search of to find, delight in and perhaps take away a little part of Bali’s unique aesthetic tradition. The furniture in Karan’s Urban Zen Collection are handmade in Bali, in close collaboration with Balinese artisans, in order to create the designs that resonate with the local spirit of harmony and tranquility. Traditionally, certain Balinese villages specialize in specific crafts and art forms. The story says that once upon a time, the King had appointed an industry upon each area according to their natural resources and location. For example Ubud became a village of painters, Celuk is famous for silversmiths, Mas for wood carving. In Batuan you can find traditional Barong masks and costumes, Sukawati produces Wayang Kulit – handmade puppets used for shadow theatre performance, and Amed for over 2 centuries has been famous for the exceptional sea salt. In some of these places, you can feel like you have transported back in time. Traditional methods and tools are still being used, and secrets to the craft are passed from father to son. The range of highly skilled Balinese craftspeople and the exquisite objects they produce is extraordinary. They are a testament to an indigenous culture that had also placed great importance on beauty and creating things with care and attention to detail. Some are more indigenous in their roots, and others have evolved as a result of the continuous, inevitable yet inspiring cultural blend and sharing of skills. Now here’s a question. Having read this and maybe having had some time already well-spent on exploring the island, aren’t you under this strange impression that somehow the Balinese must have scored massively in some universal lottery? The amount of talents per capita on this little island is slightly overwhelming. Some of them might have barely finished primary school, but they all can dance, paint, carve, play instruments, you name it! Many have asked the same question and here’s an answer. In 1930’s Margaret Mead and Gregory Bateson conducted research in Bali, and in their book “Balinese Character” Mead analysed the Balinese upbringing and noticed that from an early age, children here are taught to adapt rather than to follow their own whims. They react with mimicry, and increasingly identify with the adults. They ‘learn with the eyes’. The result of such an upbringing is not only the passive learning from the youngest age but also very strong sense of community. 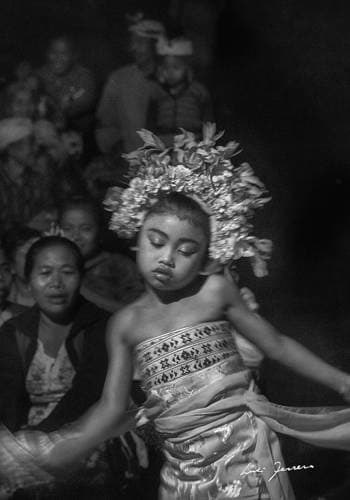 Unlike in western countries, a Balinese child starts participating in cultural activities very early. This training of the visual memory applies to almost all the aspects of social life. Children are taught to memorize gestures, choreographs, sounds and patterns. This and their natural familiarity with the environment makes every Balinese an artist, an anonymous one, with their creative talent being a part of the community. So, the Bali we know today is the Bali of Walter Spies, Hickman Powell, Gregor Krause, Miguel Covarrubias, and Colin McPhee. However, there is no denying that the Balinese people are talented and artistic, so perhaps even without the promotion of Bali in the west back in the 1920s, the Balinese magic would have still created the number one travel destination in the world today. class="post-template-default single single-post postid-1913 single-format-standard samba_theme samba_left_nav samba_left_align samba_responsive woocommerce-no-js wpb-js-composer js-comp-ver-4.12 vc_responsive"